Notice that the container is barcoded (Container code = GEN0022). We can provide you everything that you need to bar code your inventory, including pre-printed bar codes in a variety of sizes and bar code scanners. The NFPA hazard symbol is populated with the values Health: 2; Flammability: 1; Reactivity: 0. We provide you with a starter Substance table which includes valuable hazard information for thousands of chemicals. Designate the removal date of a chemical. 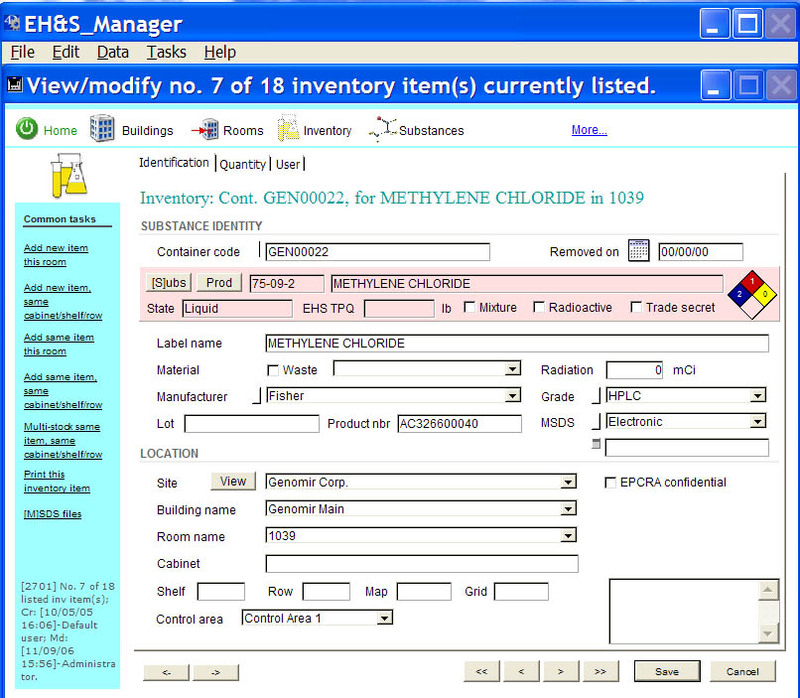 This helps you keep track of disposed of chemicals -without deleting them from your inventory. Open available electronic MSDSs by clicking on the [M]SDS files. 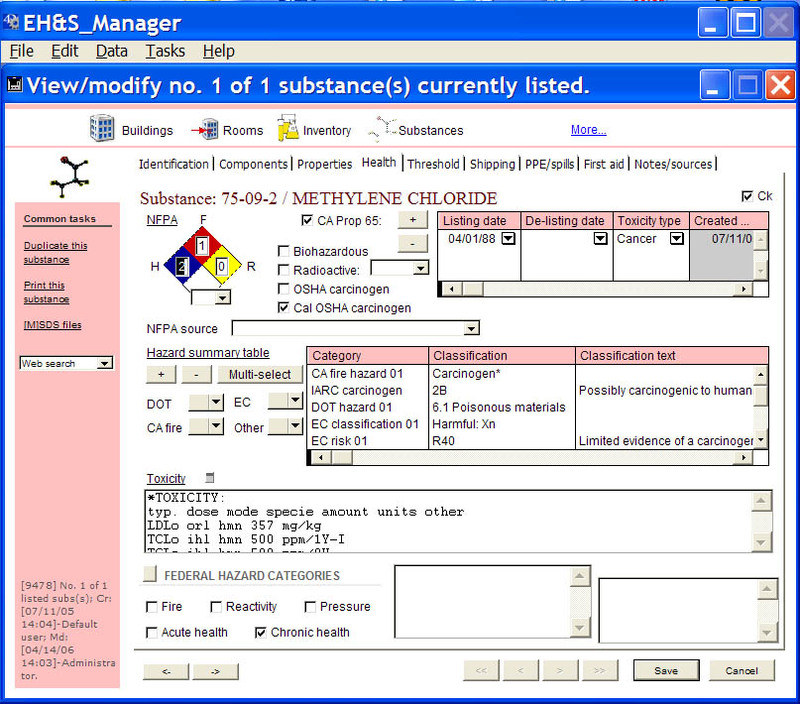 Common tasks, such as adding new items, opening an MSDS, etc are available under the "Common task" bar on the left side of the window. Over 60,000 synonyms are populated for you -saving you the headache of trying to remember the "proper" chemical name. Most substance record include physical and chemical data, such as: melting point, boiling point, flash point, molecular weight, formula, density, etc. California Proposition 65 are included. Meet the legal requirement in California of providing a list of Proposition 65 chemicals to your employees with a click of the button! DOT hazard(s) for most substances. Fire Code hazard(s) for most substances. DEA controlled substances and precursors are included. Quickly identify hazard hazard/liability products which need higher levels of security. California DHS precursors are included. Request a live web demo (it only takes 30 -45 minutes). Click here.